The Yardbird menu is mainly made up of chicken, and with an emphasis on beak to tail dining, very few parts are left behind. Every morning, fresh chickens from Yuen Long are delivered to the restaurant for our chefs to butcher and prepare before service begins. Each chicken skewer is available in limited quantities until they sell out and everything from the thyroid to the inner thigh to the wing tip is grilled over traditional binchotan charcoal. Tail (bonjiri) (ぼんじり) – The tail, also referred to as the “Bishop’s Nose” and “Bonjiri” in Japanese, is one of the most succulent parts of the chicken. And while it can be intimidating to yakitori beginners, it’s one of the most unique and delicious skewers at Yardbird. When cooked properly – low and slow – the outside crisps up fully, the fat renders, and you’re left with an amazing amount of collagen at the center. At Yardbird, one skewer contains three pieces of chicken tail – and with just one tail per chicken, this one is definitely worth the effort it takes to prepare. 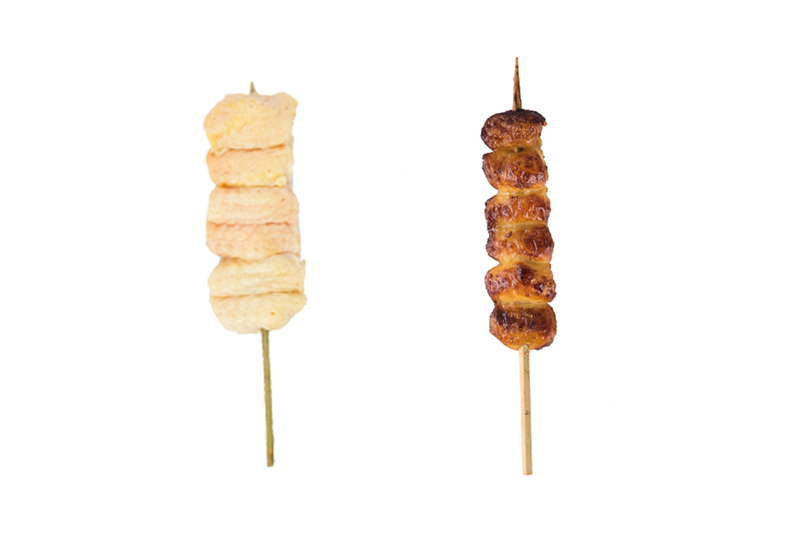 Before grilling, the skewer is simply seasoned with sake and salt, and after about 4 minutes over binchotan charcoal, it’s golden brown, crispy, and ready to enjoy. To learn more about the chicken tail, how to prepare it at home, and all of the other yakitori skewers featured on the Yardbird menu, make sure to pick up a copy of Chef Matt Abergel’s first book with Phaidon – Chicken and Charcoal!